Judy Moody was in a mood. Not a good mood. A bad mood. 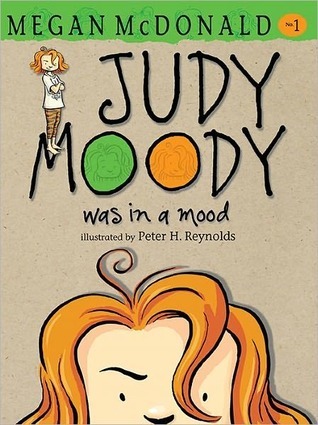 A mad-faced mood..
Meet Judy Moody. She's a cheeky eight-year-old with oodles of personality. She loves to be the center of attention and, with the help of her pesky little brother Stink, is always getting into mischief. Megan McDonald's spirited text and Peter Reynolds's wry illustrations bring Judy's crazy adventures to life, resulting in a series of feisty, funny first chapter books perfect for every kid who has ever felt a little out of sorts.